Muriel worked with Trypanosoma gambiense; the parasite that cause sleeping sickness. She was the first to discover that creating a vaccine would be exceptionally difficult due to the parasite’s ability to change its’ protein ‘coat’. She also worked with the bacterium Clostridium perfringens, which causes gas gangrene. Protozoologist, who specialised in the study of single-celled organisms including trypanosomes, of which there are a large number of species. Trypanosomes are parasites, and different species affect different hosts. Muriel Robertson did not like people who behaved pretentiously. This included arrogant car-drivers. She kept a Mills bomb – a type of hand grenade – on her desk, and claimed she would throw it at any car which would not give way when she was crossing the road! Muriel Robertson is known for her work on the tsetse fly and the parasite it carries, Trypanosoma gambiense, which causes sleeping sickness. This rich harmonic lullaby written for a choir of women’s voices represents the sleep that would elude victims of this deadly disease at night and afflict them by day. Both scientist and composer traveled the world in pursuit of their careers, but Hopekirk did not return to Scotland. Muriel Robertson was the 7th child in a family of 12. The family was prosperous, and her father worked as an engineer and manager of a successful Glasgow firm. He died when Muriel was 16. She began an Arts course, but moved to science. She enjoyed scientific research, and spent some time examining parasites on leeches at the back of a fishmonger’s shop in Rothesay. After graduation she travelled to Sri Lanka, and studied the parasites carried by tropical tortoises. In 1909 she began working at the Lister Institute of Preventive Medicine in London, where she spent the greater part of her career. From 1911-1914, she was appointed by the Colonial Office to a temporary position in Uganda. There her job was to investigate the trypanosomes or parasites which infected tsetse flies, causing sleeping sickness, for which there was no cure. She succeeded in describing the life cycle of this trypanosome, and later microscopic techniques confirmed the accuracy of her work. In the First World War, gas gangrene was a common cause of death among soldiers in the trenches. It was caused by the action of a type of anaerobic bacteria from the Clostridium family, which was present in soils. 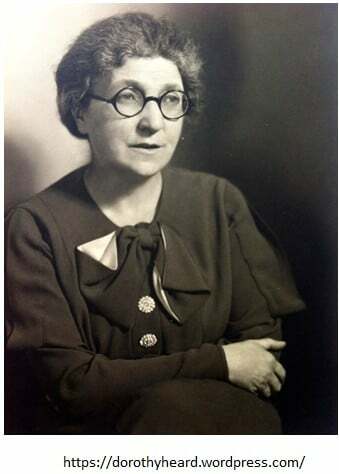 Muriel Robertson identified several species of Clostridium, and her work contributed towards later production of vaccines.